A tweaked version of last year's Z-01 design, the Z-60 'Hondo' APU is aimed firmly at Windows 8 tablet makers looking for an alternative to Intel's Atom chips. 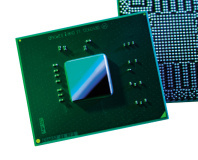 A dual-core part produced on a 40nm process, the Z-60 is a disappointingly last-generation design: as with the Z-01, the Z-60 uses Bobcat-architecture cores running at just 1GHz along with 1MB of shared L2 cache. The graphics side of things is handled by a Radeon HD 6250-equivalent integrated graphics processor, featuring 80 stream processors and running at a battery-saving 275MHz. Although it features support for DirectX 11, AMD isn't saying much about the chip's overall performance beyond a promise of Full HD video playback support and the ability to run Call of Duty-style games without trouble. Where the design differs from the Z-01 of last year, aside from a slight reduction in graphics clockspeed, is in its thermal design profile (TDP): where the Z-01 had a 5.9W TDP, the Z-60 drops the power draw to just 4.5W - and with OEMs having universally chosen to ignore the Z-01, AMD is clearly hoping that a lowered TDP will be the key to making an impact in the tablet market. Breaking things down still further, AMD claims that in S3 standby - from which the system can recover in seconds through the company's Start Now technology, providing instant-on capabilities with very low standby power requirements - a Z-60-based tablet should draw around 0.08W from the battery. Booted up but sat at idle, the tablet would require 2.88W of which around 0.75W is consumed by the APU. During web browsing, that rises to 3.89W of which 1.12W is the APU, while during HD video playback the system will need 4.79W of which 1.57W is the APU. 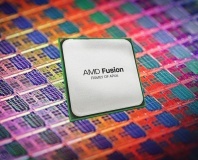 Interestingly, but perhaps not surprisingly, AMD failed to give figures for power draw during gaming. That translates into roughly six hours of continuous video playback from a 30Wh battery - something easily bested by Intel's Clover Trail Atom platform, which manages a claimed 10 hours from a similarly capacious power source. 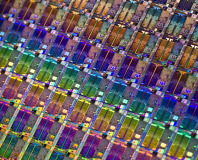 Although AMD's Z-60 is likely to offer increased 3D performance over Intel's Atom chips, manufacturers are unlikely to adopt the Z-60 if it comes at the expense of battery life - especially given the presence of Ultrabook-targeted Core i3 and i5 parts from Intel which could be easily massaged into a tablet if battery life isn't a concern. Perhaps the most telling feature of AMD's Hondo launch, however, was in its list of hardware partners signed up to use the part - which is to say, none. Although the company claims to be working with a number of OEMs and ODMs on Z-60 based tablets, due for release towards the end of the year, it has yet to name names. Takes aim at the cloud computing, micro-server markets.